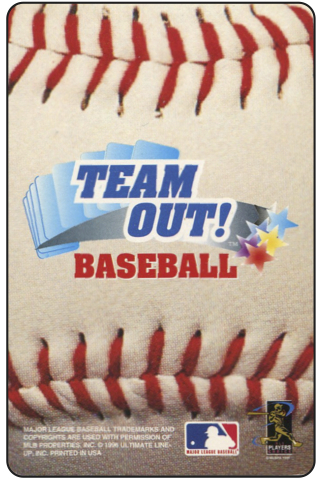 Oddball Game Card Week, Post #3: APBA & Team Out! 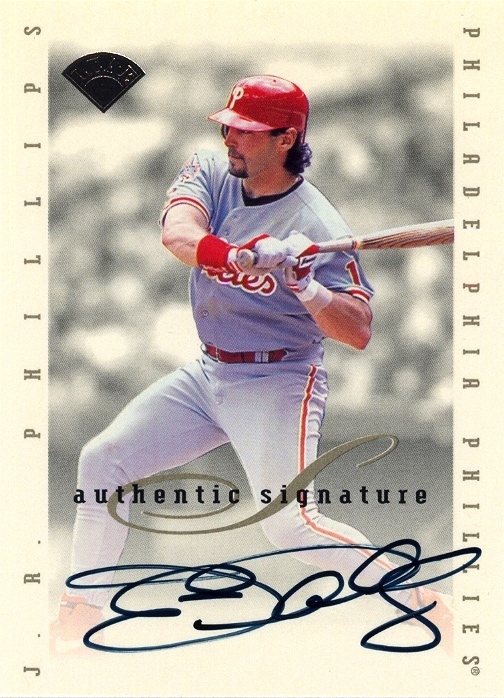 After yesterday’s post, I realized that I didn’t make it clear when I started this series that I would be staying away from the various game cards issued by Topps and other major manufacturers. 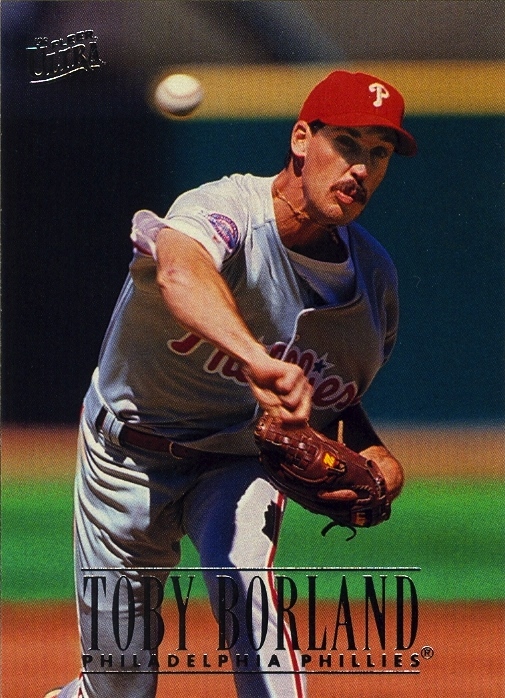 Nothing against games like Donruss’s Top of the Order, or Wizards of the Coast’s multi-year run of MLB Showdown sets (though I will almost certainly write about the Showdown sets at some point in the future), but they were well known in hobby circles at the time of their release. The key here is that the game cards I’m covering this week were at least partially licensed but were neither made by the major manufacturers nor specifically targeted at the hobby. Today’s post is a twofer. 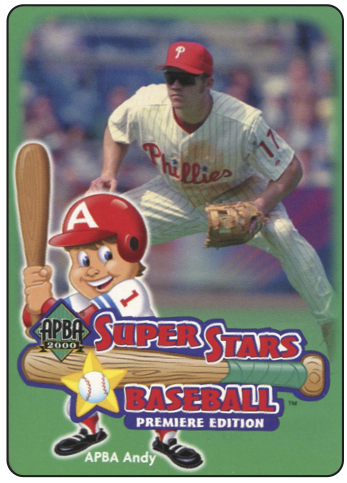 APBA has been making baseball simulation board games over over 60 years, but to my knowledge, the only one they made that contains photos of the players is their 2000 APBA Super Stars game. 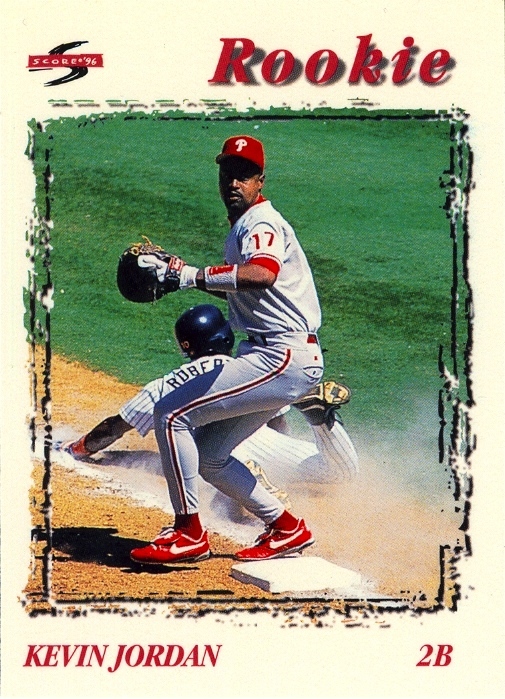 As with MLB Trade Up, I know nothing about the how the game was played. However, at least the standard-sized cards offer a clue as to some of the gameplay mechanics. 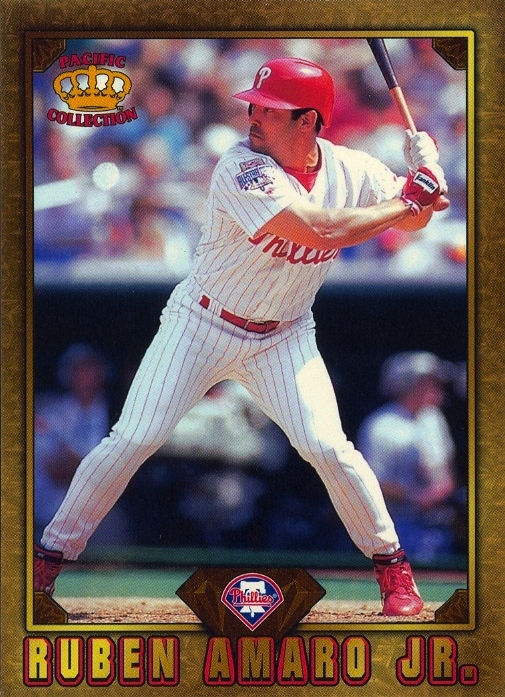 Based on the back of Scott Rolen’s card, the only Phillie in the 30-card set, it certainly wasn’t played in the same manner as APBA’s traditional sets. This was probably a necessity since the game was clearly directed towards young kids. Given the game’s parentage, Super Stars probably stood a good chance of seeing a second or updated edition, provided it sold well enough. Alas, that must not have happened as APBA offered neither. Today’s other set is Team Out! 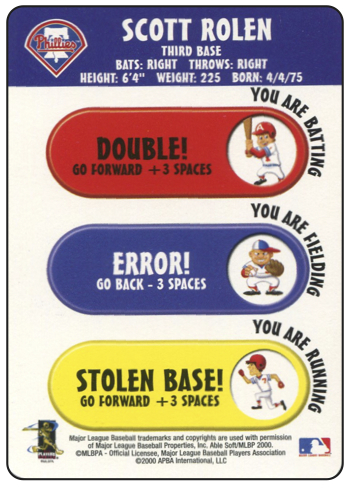 Baseball, issued by Ultimate Line-Up in 1996. According to Beckett, this game was never issued as a complete set. Instead, the 101-card set was “distributed in boxes of 60-card decks.” Given the size of the set, 60-card decks almost seem ridiculous. Why not just issue all 101 cards together, or at least increase the set to a total of 120 cards, thus making it easier for a collector to compile a complete set? I’m sure someone in accounting convinced Ultimate Line-Up that they’d sell more cards with such a convoluted scheme. 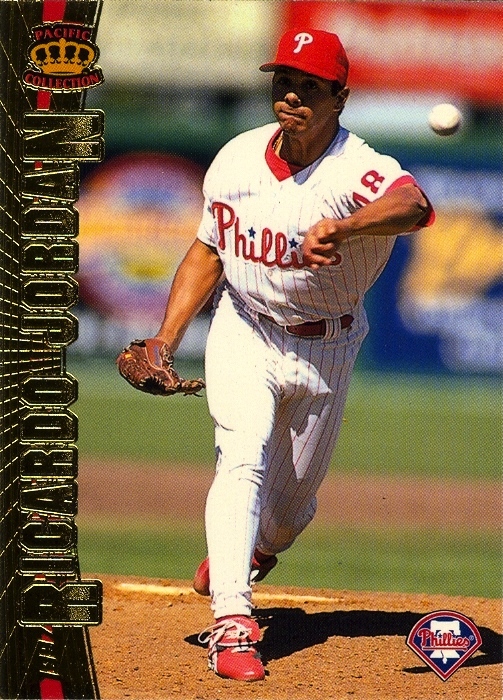 Unfortunately, the player cards bear absolutely no clue whatsoever as to how the game was played. In fact, other than the fact that it looks like some sort of slimmer than standard-sized playing card (2¼” x 3½”), there’s nothing about the cards that suggest that they are part of a game. 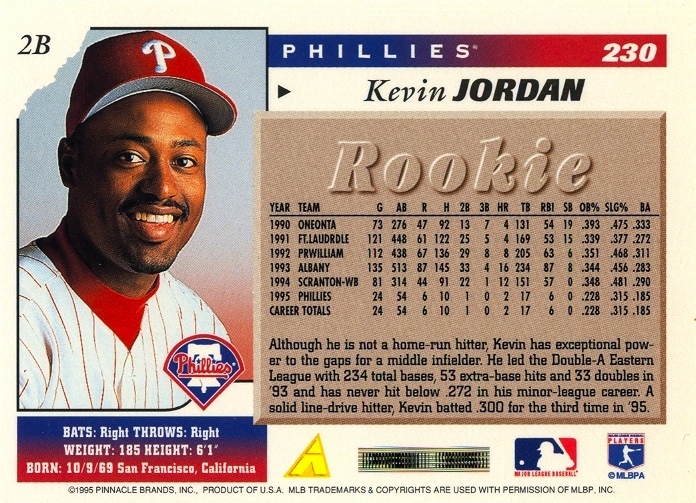 Given the state of the Phillies at the time, it’s not surprising that they only had two cards in the set. 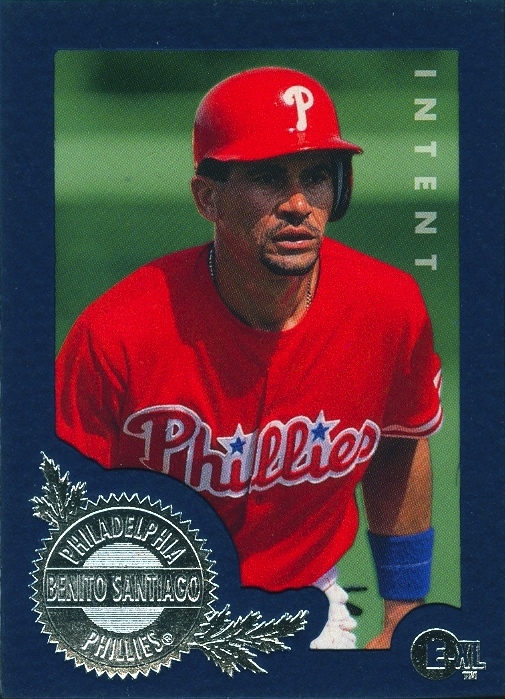 What is surprising, however, are the two players who were picked to represent the team: Benito Santiago and Todd Zeile. 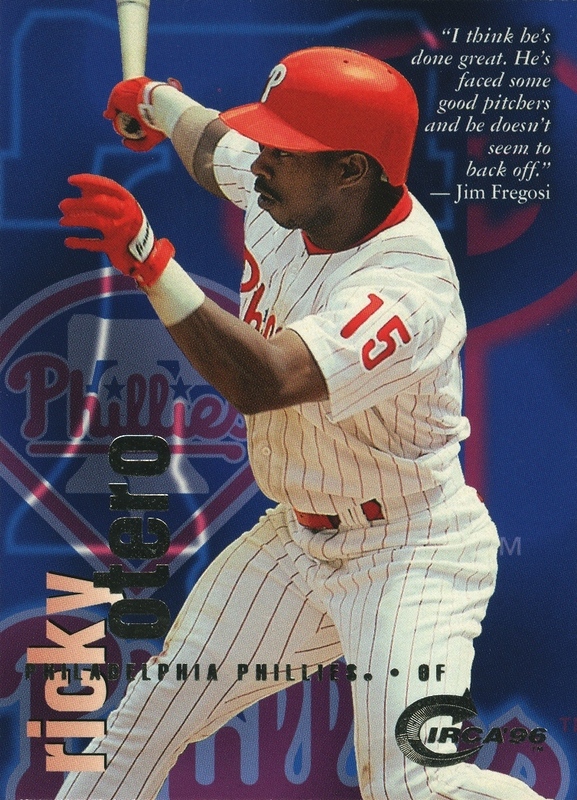 Yep, Ultimate Line-Up chose the two big name off-season acquisitions rather than use either of the team’s biggest stars, Lenny Dykstra and Darren Daulton. 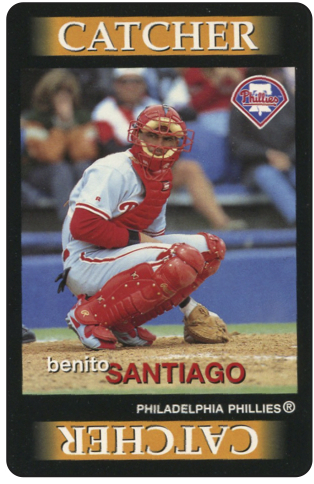 Given his career through ’96, I understand picking Santiago, but Zeile? 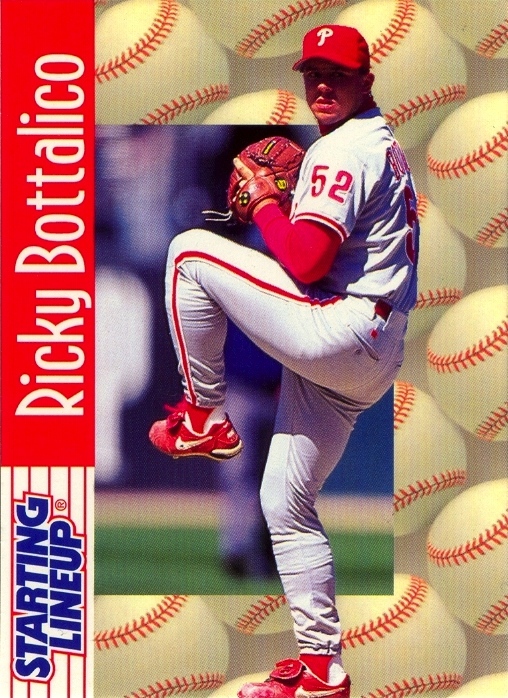 I’d love to know what went into the decision to pick him over Daulton and Dykstra.